Use the Trucker Path app to find Walmart truck parking across America. Our database features 3,800 Walmart locations, including those verified to allow truck parking. It’s no secret that Walmart has great prices and a wide selection of products. Truck drivers are on the road for weeks (sometimes months) at a time and it’s very convenient to use rest hours to do a little shopping, maybe grab a surprise gift for your significant other and get some food all at once before hitting the reset button. 3. Make sure the Walmart icon is selected for the locations to appear on the map (the logo will appear gray if it’s deselected). 4. 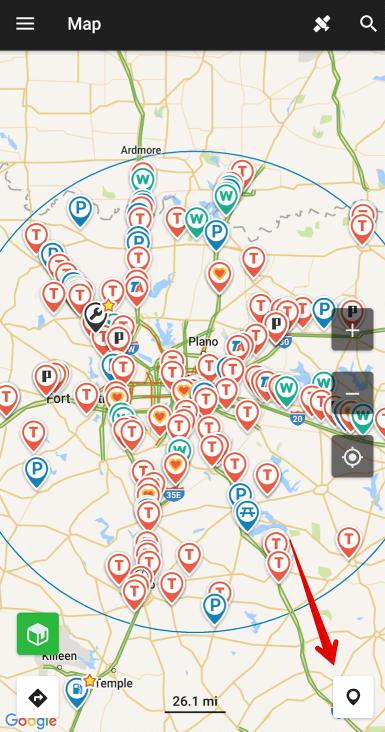 Click the Parking Availability tab to show Walmarts that allow truck parking. 5. Click on the location’s card at the bottom to display its detailed information. 6. Click the Reviews tab at the top to see what fellow truck drivers have to say about the Walmart.